When I struggle with scientist’s block, I play 1980s music with the hope that the music will inspire me. This blast from the past often works for me. After listening to the songs, I can sometimes perceive patterns between our various pieces of cell biology and molecular biology data that had previously eluded me and design new biological experiments. But I have to admit that I have never performed the proper music control studies. Before attributing inspirational power to songs such as “99 Luftballons“, “Bruttosozialprodukt” or “Billie Jean“, I ought to spend equal time listening to music from other decades and then compare the impact of these listening sessions. I have always assumed that there is nothing intrinsically superior or inspirational about these songs, they simply evoke memories of my childhood. Eating comfort foods or seeing images of Munich and Lagos that remind me of my childhood also seem to work their muse magic. My personal interpretation has been that indulging nostalgia somehow liberates us from everyday issues and worries – some trivial, some more burdensome – which in turn allows us to approach our world with a fresh, creative perspective. It is difficult to make such general sweeping statements based on my own anecdotal experiences and I have always felt a bit of apprehension about discussing this with others. My nostalgia makes me feel like an old fogey who is stuck in an ossified past. Nostalgia does not have a good reputation. The German expression “Früher war alles besser!” (Back then, everything used to be better!) is used in contemporary culture to mock those who always speak of the romanticized past with whimsical fondness. In fact, the expression nostalgia was coined in 1688 by the Swiss medical student Johannes Hofer. In his dissertation “Dissertatio Medica de Nostalgia oder Heimweh“, Hofer used nostalgia as an equivalent of the German word Heimweh (“home-ache”), combining the Greek words nostos(homecoming) and algos (ache or pain), to describe a medical illness characterized by a “melancholy that originates from the desire to return to one’s homeland“. This view of nostalgia as an illness did not change much during the subsequent centuries where it was viewed as a neurological or psychiatric disorder. This view has been challenged by the University of Southampton researchers Constantine Sedikides and Tim Wildschut, who have spent the past decade studying the benefits of nostalgia. Not only do they disavow its disease status, they have conducted numerous studies which suggest that nostalgia can make us more creative, open-minded and charitable. The definition of nostalgia used by Sedikides and Wildschut as a “sentimental longing for one’s past” is based on the contemporary usage by laypersons across many cultures. This time-based definition of nostalgia also represents a departure from its original geographical or cultural coinage by Hofer who viewed it as a longing for the homeland and not one’s personal past. This allowed the researchers to compare whether specifically activating nostalgia had a distinct effect from merely activating a general memory. After these interventions, participants in the nostalgia group and in the control group were asked to write a short story involving a princess, a cat and a race car. In an additional experiment, participants finished a story starting with the sentence: “One cold winter evening, a man and a woman were alarmed by a sound coming from a nearby house“. After 30 minutes, of writing, the stories were collected and scored for the level of creativity by independent evaluators who had no knowledge of the experimental design or group that the participants belonged to. Participants who had experienced more nostalgia wrote more creative prose! This is just one example of the dozens of studies conducted by Sedikides and Wildschut which show the benefits of nostalgia, such as providing inspiration, increasing trust towards outsiders and enhancing the willingness to donate to charities. What is the underlying mechanism for these benefits? Sedikides and Wildschut believe that our nostalgic memories provide a sense of belonging and support, which in turn helps our self-confidence and self-esteem. The comfort of our past gives us strength for our future. Does this mean that this longing for the past is always a good thing? Not every form of nostalgia centers on personal childhood memories. For example, there is a form of ideological nostalgia expressed by groups who feel disenfranchised by the recent progress and long for days of former power and privilege. The South African sociologists van der Waal and Robbins recently described the popularity of a song about the Anglo-Boer waramong white Afrikaans-speakers in the post-Apartheid era which may have been rooted in a nostalgic affirmation of white Afrikaner identity. It is conceivable that similar forms of ideological nostalgia could be found in other cultures and states where privileged classes and races are losing ground to increased empowerment of the general population. It is important that we distinguish between these two forms of nostalgia – personal childhood nostalgia and ideological group nostalgia – before “rehabilitating” nostalgia’s reputation. The research by Sedikides and Wildschut clearly demonstrates that nostalgia can be a powerful tool to inspire us but we have to ensure that it is not misused as am ideological or political tool to manipulate us. 1. de Diego, F. F., & Ots, C. V. (2014). Nostalgia: a conceptual history. History of psychiatry, 25(4), 404-411. 3. van Tilburg, W. A., Sedikides, C., & Wildschut, T. (2015). The mnemonic muse: Nostalgia fosters creativity through openness to experience.Journal of Experimental Social Psychology, 59, 1-7. 4. Van der Waal, K., & Robins, S. (2011). ‘De la Rey’and the Revival of ‘Boer Heritage’: Nostalgia in the Post-apartheid Afrikaner Culture Industry. Journal of Southern African Studies, 37(4), 763-779. Here is an excerpt from an essay that I recently wrote for 3quarksdaily and I wanted to post it here because I think that the discussion also applies to “curating” scientific information. The British-Australian art curator Nick Waterlow was tragically murdered on November 9, 2009 in the Sydney suburb of Randwick. His untimely death shocked the Australian art community, not only because of the gruesome nature of his death – Waterlow was stabbed alongside his daughter by his mentally ill son – but also because his death represented a major blow to the burgeoning Australian art community. He was a highly regarded art curator, who had served as a director of the Sydney Biennale and international art exhibitions and was also an art ambassador who brought together artists and audiences from all over the world. 7. Making possible the altering of perception. Waterlow’s notes help dismantle the cliché of stuffy old curators walking around in museums who ensure that their collections remain unblemished and instead portray the curator as a passionate person who is motivated by a desire to inspire artists and audiences alike. Biomedical research also produces a huge torrent of information and we are at risk of drowning in this vast ocean of scientific data. Our choices of what scientific papers we read, discuss or pass on to our colleagues are often quite arbitrary. My laboratory currently focuses on stem cell biology, especially in the context of cardiovascular differentiation and cardiovascular disease. When I searched the PubMed database for papers published in 2012 on “stem cells”, the search identified 18,409 articles. 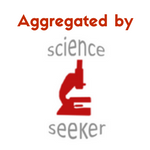 A search with the keyword “cardiovascular” turned up 51,794 papers in 2012. Obviously no person can read and understand 70,000 research papers in a single year, therefore it is critical to “curate” and select the most relevant articles. Importantly, creative research ideas usually emerge when one is inspired by scientific ideas that lie outside of one’s own area of research. A cardiovascular stem cell researcher in search for novel ideas should therefore not only read papers on cardiovascular research and stem cell biology, but also stay abreast of important developments in other areas, such as neurobiology, evolutionary biology, epigenetics or structural biology. We all have developed our own personal ways of how we curate scientific content. We scan the table of contents of our favorite journals or receive email alerts from the journals, we may rely on scientific meetings and colleagues to inform us about new scientific developments or we browse science blogs – in most cases, our curatorial process is a combination of multiple approaches. I hope that Scilogs readers will comment on their personal “algorithms” or methods of how they handle the science information glut in the comment section of this post. How do you decide which biomedical research articles to read? Do you primarily base your choices on PubMed keyword searches or table of contents / email notices from selected journals? Do you regularly speak to colleagues or participate in journal clubs to identify important articles? Is your choice of reading materials biased in favor of high-impact journals or high-impact researchers? How do you choose articles you want to blog about, comment on or cite? By sharing our experiences, we might be able to learn from each other, improve our curatorial skills and become better at managing the biomedical information deluge.